February 14, 2010 Adri H.
Then, another knitting friend decided to bestow upon me some dye that she wasn't interested in anymore. I ended up with two little bottles of Ashford dye. I've always wanted to try it, and after seeing some of the wonderful results people got with simply Kool-Aid, my imagination went wild over the potential in these two little bottles of professional dyes in teal and scarlet. 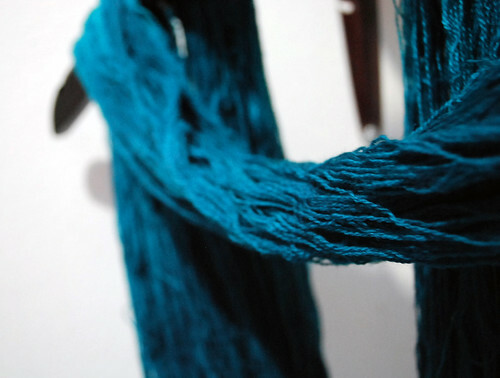 I love blue, so I began my experiment with the teal..
Yarn was first wound into hanks, then tied with extra yarn in a few places. Then it was washed and soaked for a day. Next day, I heated the water to a low boil and added the dye/vinegar mix to the water stirring constantly. 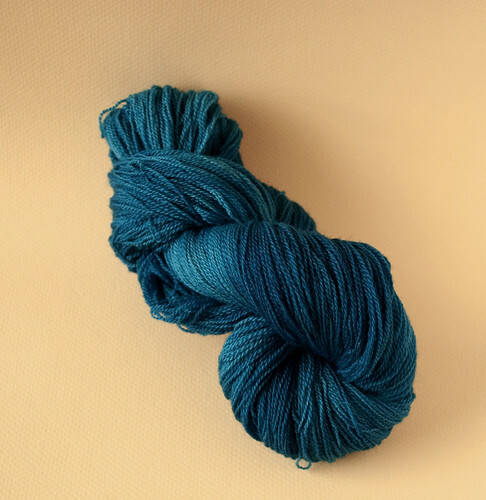 Then the yarn was added and the dye was quickly absorbed by the yarn. After cooling and rinsing, the yarn was dried on old hangers, clamps, etc. over a pot and tarp to catch the drips. 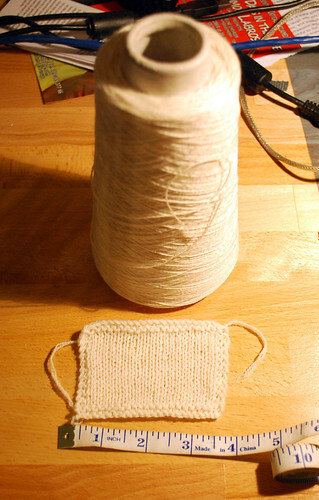 I cannot wait to knit it up. This color has made me so happy!! Oh, and Happy Valentine's Day!